What can possibly happen in one week? I remember, it was the 25th of April, 2014 when I had this question ringing in my mind. I was in my room, packing up the stuffs I need for the weeklong Friendship Camp, which, for the first time, would happen in our district. I remember feeling excited and yet at the same time, a bit anxious of what might happen at the camp, or what might not. Then came Sunday, the arrival day at the campsite. Being one of the officers of our Districtwide AY Association, I couldn’t help getting worried about the possibility that not many young people would actually show up for the event. I mean, I knew we’d done our part in inviting the youth—both SDAs and non-SDAs—to the camp beforehand, and I thought, we were pretty successful at it. But what if, just what if, our invitees change their mind at the last minute? All the effort we put forth for the activity will surely go down the drain. What I failed to realize at that moment was that it wasn’t our work, it was God’s. And when God does something, He perfects it. Twelve. That’s the exact number of tents I counted when I got to the campsite. Not really a lot, I thought. That’s when I closed my eyes and started praying to God to send more young people to the camp. And sent more, He did. After all, it was His work, not ours. So little by little, campers were coming. More tents were set up, and the camp was starting to get noisy… in a good way. The opening ceremony went on smoothly, with all the young people obviously excited about the activities in store for them for the week. Before I drifted to sleep that night, I had three things to say to God—first, I thanked Him for the camp’s successful start; second, I was sorry I doubted what He is capable of doing; and finally, I asked Him to keep everyone safe at the camp. Of course, the Friendship Camp wouldn’t materialize without the active force behind it. Under the supervision of our District Pastor, Ptr. German B. Ramos and the young camp director Clinton Dumangcas, we had a battalion of dynamic young people who rose up to the challenge of leading the camp which we all knew wasn’t an easy task— there was the obligation of getting up before everybody else does, staying up late to prepare for the next day’s activities, and then there’s facilitating a group of young people with different temperaments. But once again, God proved me how He can make anybody His living vessel at His will, even those people who I thought weren’t capable enough. Many of the facilitators were so young and admittedly first-timers, yet it was amazing how everyone rose up to the occasion when they were called to. They were young, yes; but not young enough to take part in God’s work. I remember an inspiring statement I heard somewhere, “people will not care how much you know about God unless they know how much you care about them”. This was pretty much the case during the Friendship Camp. Because there were quite a number of non-SDA campers, I couldn’t help wondering how we can introduce Jesus to them without them feeling like they’re being pressured to join the Seventh Day Adventist denomination. 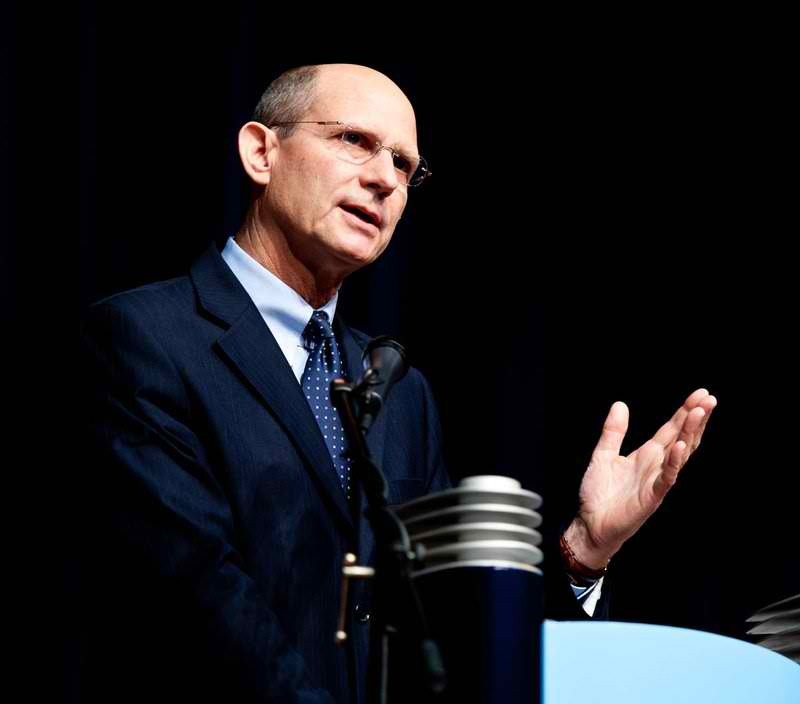 I was thinking that if ever these young people would decide to join the church, I wanted them to do it out of pure and holy conviction and not out of pressure or just a spur-of-the-moment decision. But God has His ways, as always. With His blessings, everyone started building friendship at the camp. Even now, it still amazes me how people with different upbringing and character can connect with each other in such a short span of time. And then little by little, as the friendship grew, it became surprisingly easy to talk to them about Jesus that it was almost effortless. Before the camp started, I was feeling vexed by the idea that we’re obliged to bring souls to Christ’s fold at the end of the weeklong event through baptism. I worried too much about the numbers and became so nearsighted that I forgot that it was the Holy Spirit’s job to convict souls, not man’s. But just every time my faith fails, God reminds me of what He is capable of doing. Just before the Sabbath came, we popped the big question to the non-SDA campers— will you accept Jesus as your Saviour and be baptized? The response we got astounded me. Then it hit me. While I was busy doubting God, His Spirit was actually working and subtly converting souls. It was holy Sabbath afternoon by the beach and everyone was gathered together for the baptism. Those who were about to be baptized were nervous, I was sure about that. After all, it was to be the turning point of their lives. 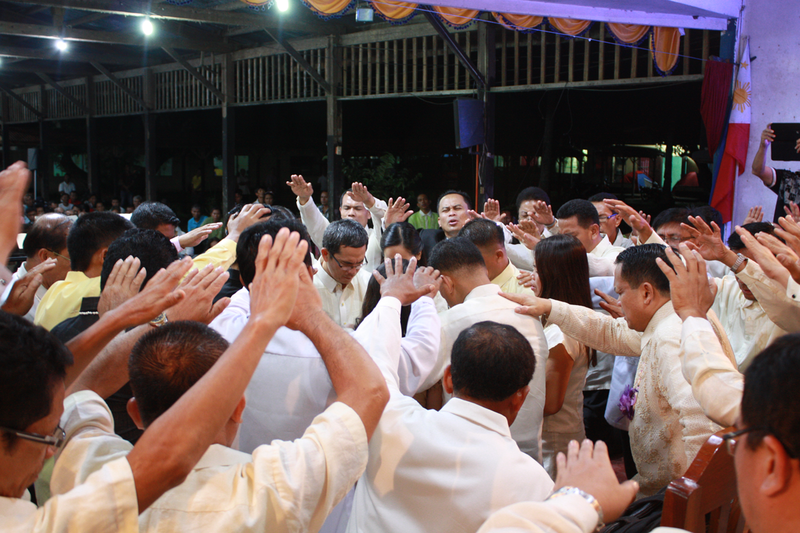 One by one, the brethren shook the hands of our new church members and warmly welcomed them. While we were on it, I was silently thanking God for such a wonderful miracle. I thought it was good enough that we were able to convince those young people to join the Friendship Camp, but God had a greater plan and purpose— a plan to remind everyone how much He loves people and the ultimate purpose to save His children. It was the 4th of May when the camp finally concluded. But not really, I realized. For the new young Seventh Day Adventists, their real Christian journey has just begun. Surely, there will be a lot of obstacles in their path, but I know that God, in all His greatness and mercy, will carry them through. As for me, and all others who fell short of their faith, we rediscovered Him and His amazing grace. So what can possibly happen in one week? Now I have figured out the answer. RESCUE-SDA 13, a newly organized rescue group base in Caraga Region starts their 9-day training which covers the areas of Fire Prevention and Suppression, Basic First Aid, Disaster Management, Water Rescue and Basic Life Support Training. This training is designed to provide with the necessary skills and knowledge to the trainees to help serve the community better. Representatives from the Bureau of Fire, Philippine Red Cross, Philippine National Police – 13 and City Disaster Risk Reduction Management Office shared their expertise during the training. The organization of the RESCUE-SDA 13, which is also known as Adventist Rescue 13, is a joint effort of the Adventist Community Service / ADRA headed by Pr. 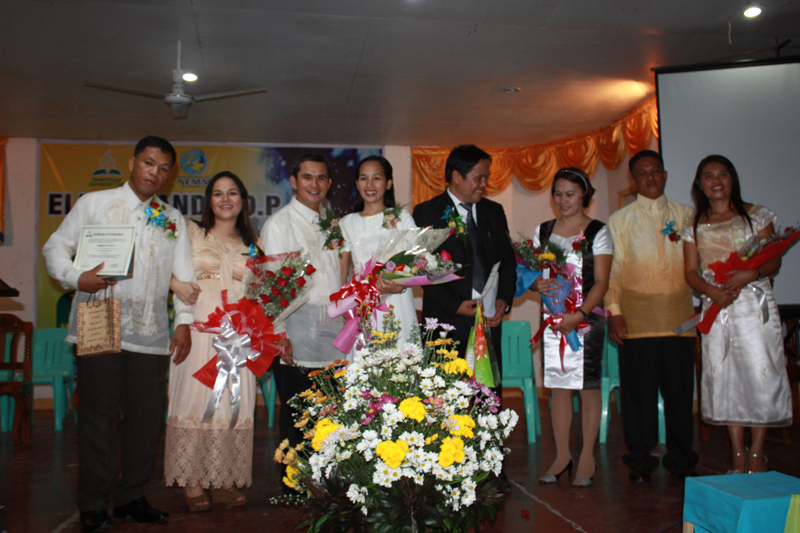 Bernabe M. Dahunan, the Youth Department headed by Pr. Max Dante B. Obbus and the Health Department headed by Pr. Nimrod V. Saramosing. 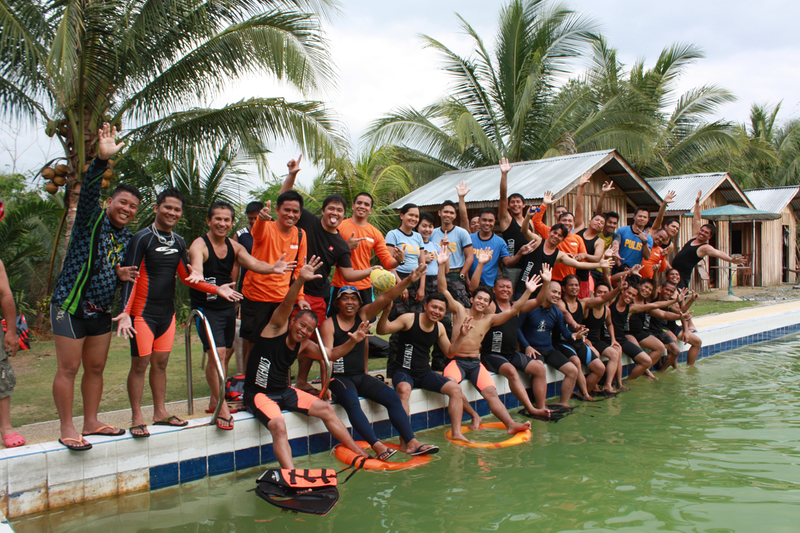 On Friday, March 7, 2014 – the mock water rescue was held at the Agusan River. The trainees demonstrated their skills on water rescue and were supervised by their instructors. The RESCUE-SDA 13 is thankful for the CDRRMO, DOH-Caraga, HEMS, PNP-Regional Public Safety Batallion, Bureau of Fire and Protection – Butuan, Red Cross – Agusan Del Sur, and for the administrators of Northeastern Mindanao Mission Headquarters of the Seventh-day Adventist in Caraga Region for their support of this training. The RESCUE-SDA 13 is planning to have four (4) provincial trainings, which aim to organize one rescue team in each district in Caraga Region. 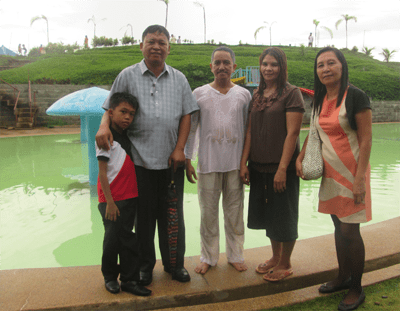 Fernando Butlig was baptized about 20 years ago through a Bible Seminar called Radiant Life by Pastor Jethro Calahat. Trials had shaken his faith and he stopped going to church. 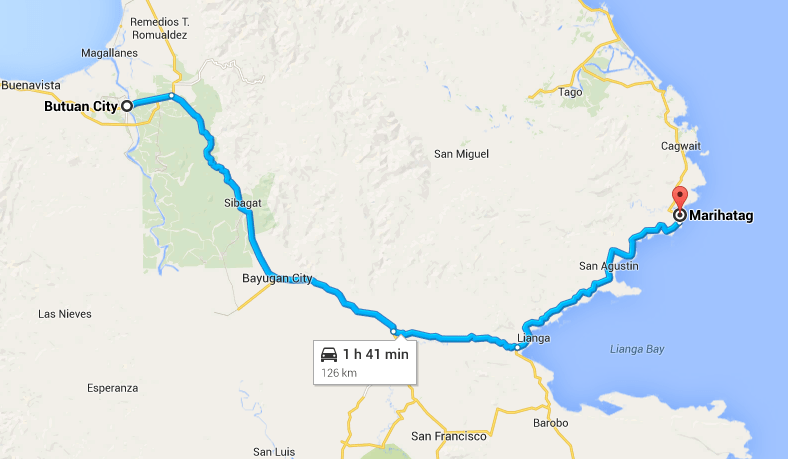 After many years he moved to Bit-os, Butuan City to settle down. 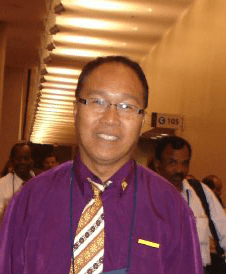 He lived close to his friend Guesepo Arrubio, an Adventist and an avid listener to Hope Radio Philippines, a radio station managed by the Seventh-day Adventist in Caraga Region. Brother Guesepo invited Fernando to attend church with him but Fernando didn’t think he was ready yet. Guesepo decided to lend him his radio transistor instead. 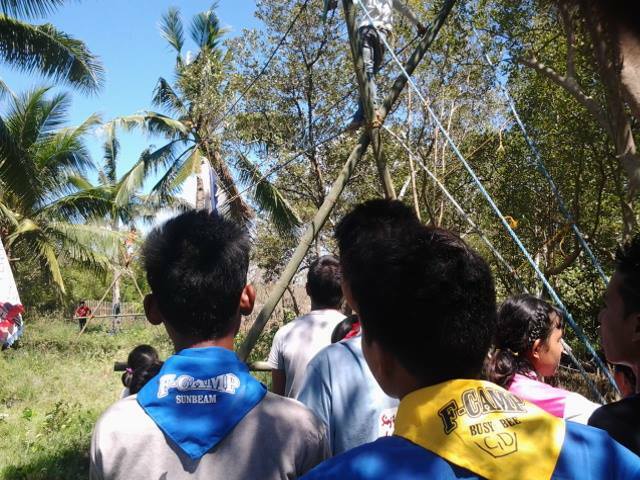 Sometimes they would listen together, enjoying the replay of the program “Tulonghaan sa Kahanginan” (School on the Air) by Pastor Jerson Arellano and “Sukdanan sa Kamatuoran” (Measurement of Truth) by Pastor Jerson Arellano and Kapaglaum Charlie Ranes. Fernando became very interested in the program, started to ask questions, and began his quest of studying the Bible again. 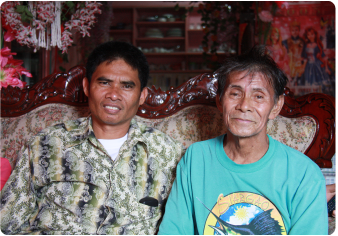 Through God’s guidance and the work of the Holy Spirit, Guesepo and Fernando contacted the host of the program who visited them at their house and offered a prayer for Fernando. A few months ago Fernando decided to go with his friend Guesepo to the church to renew his commitment to the Lord, to serve Him and to be a part of his family. It was an answered prayer said Guesepo, who was very happy for the decision of his friend. “God called Fernando back and I am happy He used my small radio transistor as instrument,” he said, his eyes a little teary. The Hope Radio Philippines is in need of your support financially and prayer. Why not try to be a part of the Hope Radio Philippines. Share your blessings by donating to Hope Radio Philippines. Click here to donate. The Friendship Camp or FCAMP is a spiritual activity initiated by the committed leaders of the Seventh-day Adventist Church. The recently conducted FCAMP last April 15-21, 2012 held at Mariano’s River View Resort, Brgy. Sto. Tomas, Loreto, Agusan del Sur which was participated by the youths of the districts of Loreto, Lapaz and Talacogon was one of the most memorable and amazing moments in my life. It was such a great honor for me to be one among the selected facilitators to the said activity. At first, I was hesitant to accept the responsibility being a facilitator, because of fear that I cannot perform the task being entrusted to me. But with God’s guidance I was able to share my talents in singing and bringing spiritual message. Being a facilitator was not an easy job. Sometimes you have to act like a teacher to your teammates; do Bible studies and lectures; give lessons and sharing of ideas regarding their understanding of the given texts from the Bible. Latest action songs and short choruses were being introduced to the members of the team. Different exciting and challenging activities were all participated well. Despite of the sleepless nights and restless days, I still enjoy the company of the campers, co-facilitators, pastors and our camp director the whole period of camping. I felt enlightened with the Holy Spirit when the time I gave lectures to the group and they also listened attentively. I gained self-satisfaction upon seeing the smiling faces of my group members for every accomplishment we achieved. Although there were minor problems we encountered during the FCAMP but we were able to manage and solve them accordingly. 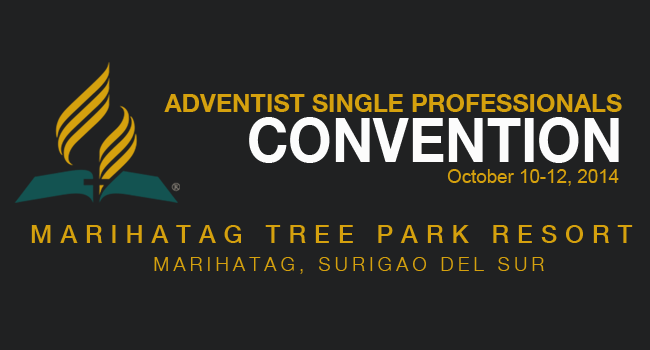 Our efforts as facilitators were not wasted and our prayers were heard and granted when all of the non-Adventist participants decided to accept Jesus Christ as their personal Savior and be a member of our church-The Seventh-day Adventist. I had been emotionally touched when one of the members of my group had thanked me for helping her realized the importance of salvation. I considered it as my great success being an effective leader to the group. That FCAMP changed me a lot. 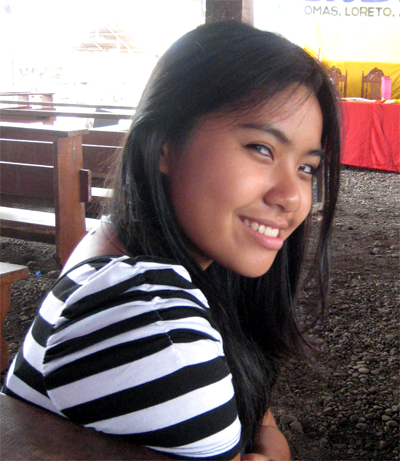 I developed my skills being an Adventist Youth Leader. It helped me improve my communication skills. It also tightened my relationship with God. I’ll miss all the people I’ve met there. Now, it is my new challenge to take care of the new members of our church. I promise to do the best that I can as an AY Leader. I will end my impression by saying. “Never get tired of serving God because it is only HIM that you can feel the greatest happiness in your life” Live life to the fullest with Him!